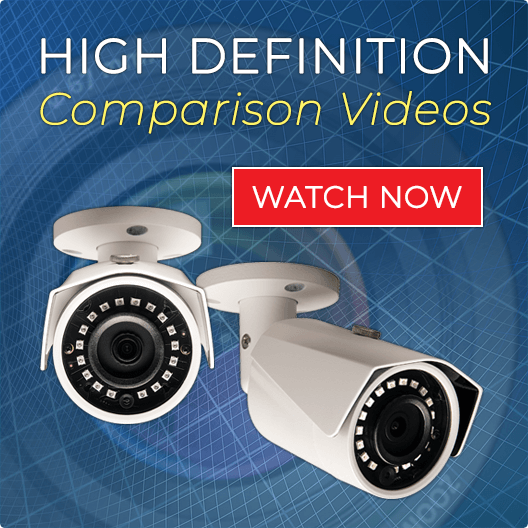 We offer 2 Types of HD Security Cameras. IP Security Cameras are measured in megapixels. All of our IP Cameras are Full 1080p with a minimum of 3 megapixels. We also offer HD Over Coax Security Cameras. These HD cameras are also measured in megapixels. They are set up the same way as traditional analog cameras with RG-59 Siamese Coax Cable. 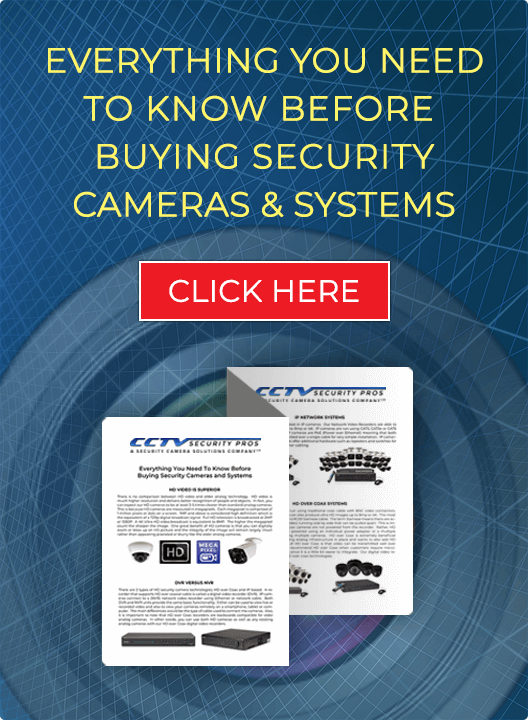 Finally, we offer older Analogy Coax (BNC) Security Cameras for you to replace cameras from an older system.